If you are looking for a mattress that is both natural and economical then you need to check out My Green Mattress. My Green Mattress is a small, family owned company; they specialize in natural mattresses and mattress accessories. Their products are all MADE IN THE USA and My Green Mattress offers a variety of mattresses, from crib to king. Also, each mattress comes with a 10 Year Warranty and a 100 Night Comfort Guarantee! 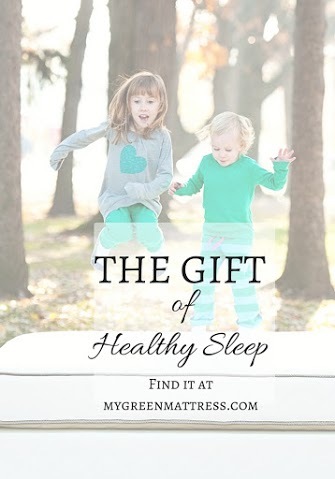 I’m excited to share this awesome giveaway sponsored by My Green Mattress! The winner of the My Green Mattress Giveaway will have a choice of an Emily Natural Crib ($249 value) OR Twin one-sided Pure Echo Natural Mattress ($494 value)! Healthy sleep for your baby is our priority. Natural materials like organic cotton and wool layered over an innerspring, make this mattress perfect for your baby’s crib. 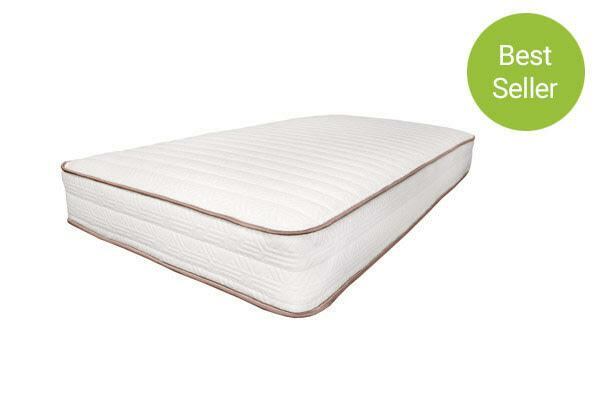 My Green Mattresses most economical mattress is handcrafted with all natural materials, like organic cotton and wool, over a pocketed coil innerspring. Get the deep, healthy sleep you deserve at a price that won’t keep you up at night. 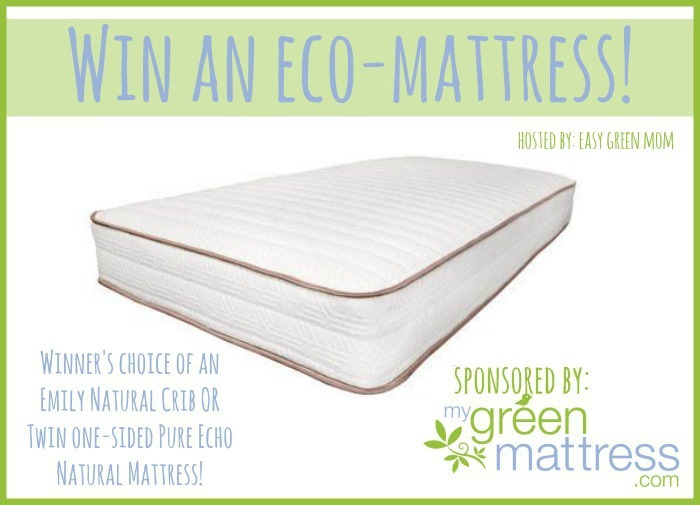 One lucky person is going to WIN an Emily Natural Crib Mattress or a Pure Echo Organic Cotton Natural Twin Mattress from My Green Mattress! This giveaway is open to US only, ages 18+ and ends on 6/25/16 at 11:59 PM EST. Enter using the form below. Good Luck! Love green products and I had no idea there were green mattresses. I especially love that this is a family owned business. I’d love to win this for one of my nieces! Switching to organic has made my family more thoughtful about where our items come from, and more appreciative too. My quality of life has gotten so much better since I changed over to everything organic! Since going organic, we have much fewer chemicals in the home. Going organic in short term has given me a better peace of mind. In long term my family will be leading a healthier lifestyle. 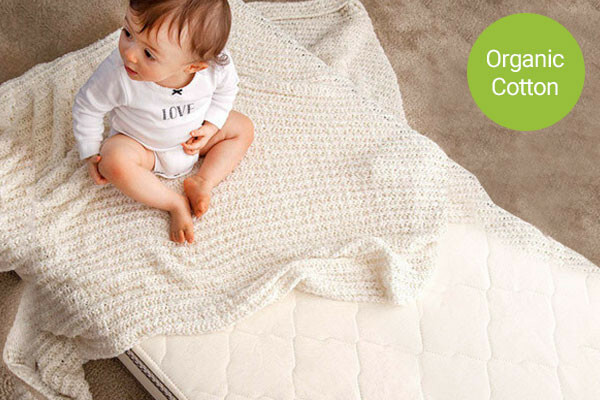 I love the idea of an organic mattress for my kids! I have always believed and lived by natural for as long as I can remember. I started this life style because of severe allergies to chemicals. Natural is better for my family. Too many products have added ingredients that are not good for you. I believe that having the peace of mind of not being exposed to unecessary ingredients and chemicals is the main thing. I’ve noticed we haven’t had many illnesses since going organic.. plus being organic really makes you appreciate the things you have in life. I think we’re a lot healthier since we’ve gone organic and eliminated most meat from our diets. More aware of the chemicals in everything. It is best to watch what we buy to make sure we try to keep what is not healthy for us out. It has helped us decrease the amount of chemicals we use at home. Nice to know this product. Going organic has helped our family by keeping us safe from harmful chemicals.It has also helped our daughter’s eczema! Going organic has helped my family alot we only eat organic products and I notice that we are now more healthier and don’t get sick as much as we used to.I feed my baby organic food also and he loves it. I would love to try the organic matress! We are being more healthier for going organic. I think that it helps my family stay healthier in so many ways, thanks! I have noticed that I have less allergy issues than I used to have. Organic has helped our family breath better and live healthier. Going organic has helped me to reduce fibro pain and inflammation and reduced my son’s allergies. Organic products give me peace of mind. I’m doing something for the health of my family. We go organic by not eating conventional produce of the dirty dozen which keeps us free from pesticides (or minimal). Organic products reduce allergies in both my family and my pets, and I feel better knowing what I’m putting in my body. Hoping this would help with allergies!